The area around 5th and Tryon is a center for nightlife. Filled with bars and restaurants it’s a booming hub of pedestrian activity both during the day and into the late hours of the night. This well-known stretch of 5th Street is getting a makeover and people will be extremely excited with what is to come. Gone is Connolly’s patio, in is a new 75 foot, 5 story building, designed to fill in the gaps in the city and provide even more density. Fans of Connolly’s patio may be saddened to hear this but have no fear. This new building is going to have a 5th floor rooftop terrace and 13k sq ft of retail space spread throughout 4 floors. Also, original plans called for Connolly’s to redo their roof to be a patio. I am not sure if this is still being planned but if it happens the entrance to it will be from the 3rd floor elevator lobby of the new building. While it may be frightening to think about Connolly’s patio going away, I can assure you it will be replaced by something much better. I will cover this project in much more detail in a later piece, as many of the details are still skeptical at this point. Along with this building, 5th Street itself is getting a much-needed upgrade. The sidewalk is going to be extended (similar to what was done on 5th street across from Dandelion Market) to the “white line” that currently exists in the street. This will greatly improve the safety of the street and add to Uptown’s walkability. Last but not least, seafood fans are going to get excited – a raw bar concept is coming to uptown and the design is beautiful. Get ready for some oyster on the half shell. Tentatively titled Sea Level Restaurant, plans call for this to be a raw bar concept going in the old City Tavern space inside Hearst Tower. 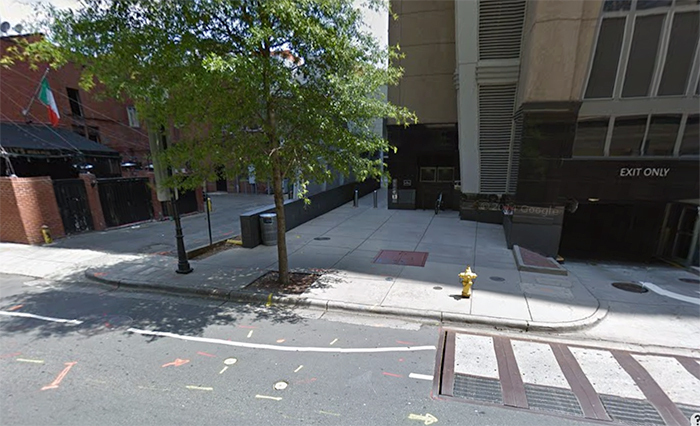 The developers are also planning to add an entrance and patio on 5th Street (pictured below on the empty plaza space next to the current garage entrance). As I report this, this is close to a done deal of a project, but in my eyes nothing is set in stone until the final product is delivered. The raw bar concept is something uptown needs and will do incredibly well. This project is coming from the folks at Damian Dining who are behind Crepe Cellar and Growlers Pourhouse in NoDa. The patio on 5th will add some much needed street level presence and the design of the interiors look fantastic. This should be an great addition to the area and help solidify 5th Street as a destination for those wanting to drink and eat. Unfortunately, none of these exciting projects have start or completion dates set but I believe construction is imminent for all 3. Sea Level is still a work in progress but the deal should be complete soon to allow construction to get going! 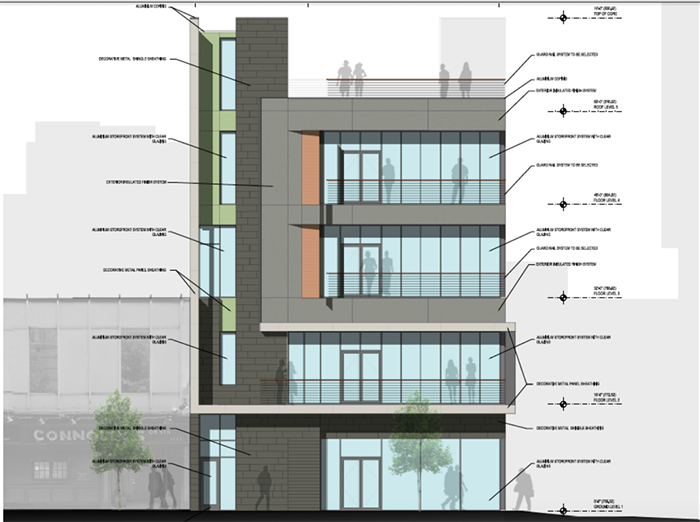 I will cover the 5th Street infill project in a later article, but let this be a preview of what’s to come. 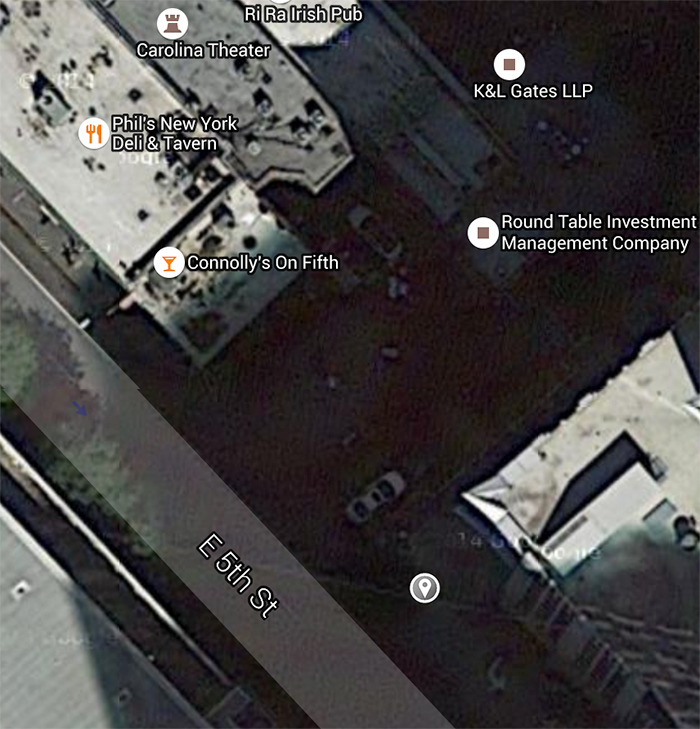 Photos via The RBA Group and Google Maps. 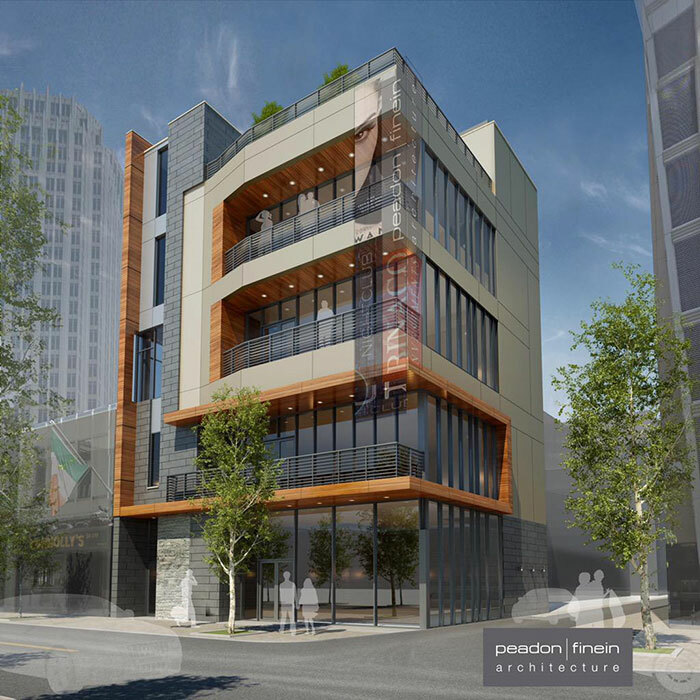 Renderings via architecture firm peadon finein.